These 4 mysterious symbols are in front of the real entrance of the pyramid which is hidden from the public. 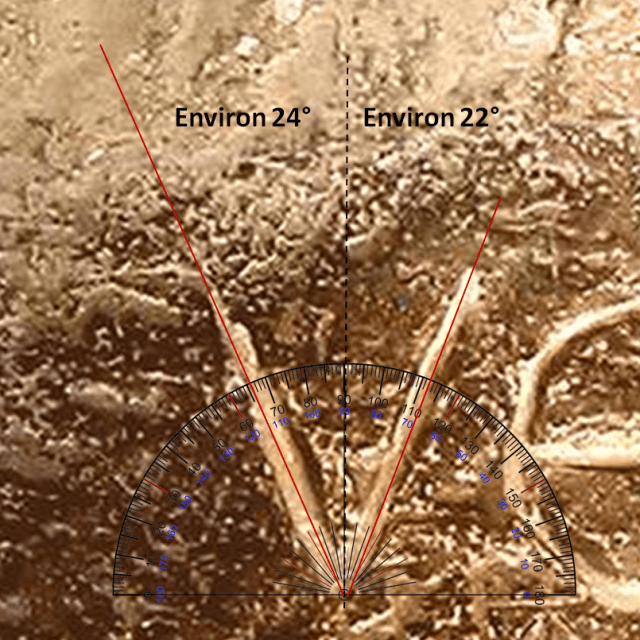 Independent researcher Jean Seimple, who revealed that the secret of the Greenwich meridian, which commemorates and indicates the current location of Atlantis has succeeded in decoding it and asserts with certainty that These 4 symbols, are the only authentic and unique signs, up to this day, left by the true builders of the pyramid! 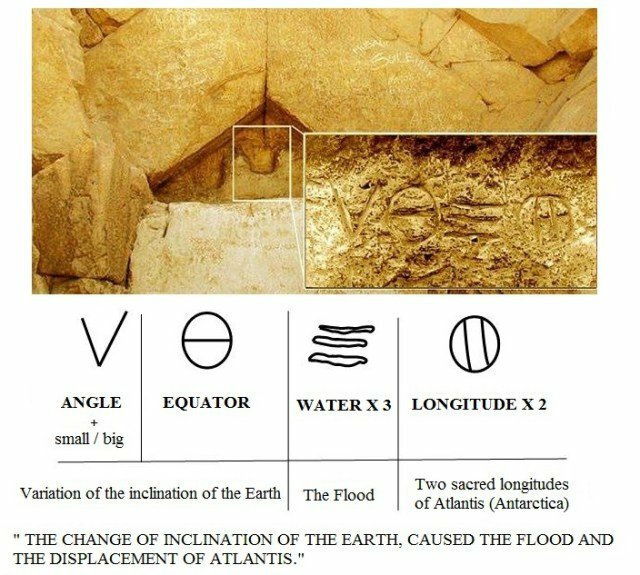 These 4 symbols convey the most important message of the builders coded in the pyramid, known by some initiates and this in an extremely simple way and summarizes by themselves this article. As always, “simplicity is the ultimate sophistication” is a signature of the builders of the pyramid. Their intelligence being superior to ours, they had realized that these 4 signs, engraved on a granite plaque and cut to perfection, would undergo the onslaught of vandalism, pillage and censorship … while a simple graffiti, Innocuous, incomprehensible and imperceptible would go unnoticed. His discretion made him go through time! The values of the angles correspond exactly to that of the axis of rotation of our planet (Earth’s obliquity oscillates between 22.1 and 24.5 degrees, ~23.25° today) and which engenders the precession and confirms the remarks of Jean Seimple, who had concluded that it was, more exactly, the plane of the ecliptic that had been modified. ” Here is a very interesting reflection that will allow us to grasp once again the incredible intelligence of the builders to convey to us what happened in a very detailed way. If the axis of rotation of our planet was modified by 6 °, then the terrestrial equator should also have been inclined by 6 °. This scientific study dated July 24, 2016, confirms the message transmitted by the builders several millennia ago.